Is Spring finally here?! I’m almost afraid to say that, but we’re getting close to May, so there’s no way we can get more snow, right? We had a gorgeous, but pollen-filled, weekend. Lots of outdoor activities and lots of sneezing for my allergy-suffering husband. Last week, I launched the Sarah’s Book Shelves Patreon page, where you can support the blog financially and get some special rewards (including personalized book recommendations and access to our private Facebook Group) as a thank you for your support! A huge thank you to those of you who have already become patrons! – From Neil Strauss, Author of eight NYT bestsellers including The Game and The Truth. 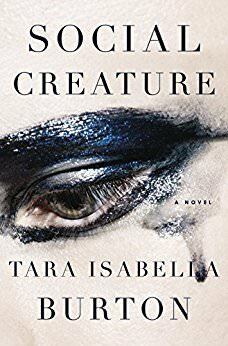 Last week, I said this about Social Creature: “sometimes I think it’s completely ridiculous and want to DNF it and sometimes I’m completely sucked in.” Well, I was completely sucked into the second half. This is probably the most messed up book I’ve read since The Roanoke Girls and it went in a completely unexpected direction. If you like dark and twisted, put this one on your list for the summer. Mini Review to Come. 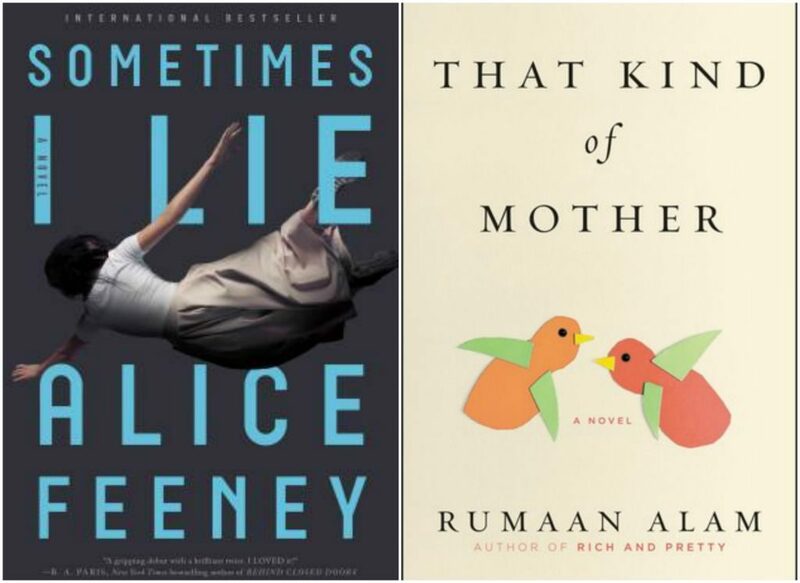 This novel based on the true story of a 1962 plane crash at Orly Airport that killed 122 people, many of whom were Atlanta’s most prominent citizens and art patrons, comes recommended by Modern Mrs. Darcy on the What Should I Read Next? podcast. I’m almost halfway through and really like it so far. It’s got a bit of A Man in Full (by Tom Wolfe) vibe, but much less epic. I put this one down at 23%, but may pick it back up after some people urged me to stick it out. DNF at 48%. I thought I’d love this novel about a woman who adopts the child of her nanny after she dies during childbirth because two of my top recommendation sources (Annie Jones from From the Front Porch podcast and Tyler Goodson, Manager at Avid Bookshop in Athens, GA) rated it 5 stars. Unfortunately, something felt off. I had trouble connecting with Rebecca (the main character), the observations about motherhood were kind of all over the map (maybe because it’s written by a man?? ), and I just couldn’t get fully immersed in it. I’ve been anxiously waiting for this novel about a group of childhood friends to come in from the library and it finally has! So many people have raved about this one: Susie at Novel Visits, Tara at Running N Reading, Read it Forward, Tyler Goodson, Joann at Lakeside Musing, and Morgan at NYCbookgirl. One Year Ago: I was embarking on a pretty good reading run. Two Years Ago: I was in the middle of a reading slump. I”m glad to hear that you’re enjoying Visible Empire because it’s getting mixed reviews on Goodreads. I’m looking forward to your review! Totally mixed reviews, but I really liked it! I put down Sometimes I Lie, but I didn’t have any real issues with it. It was more that nothing compelled me to pick it up again. 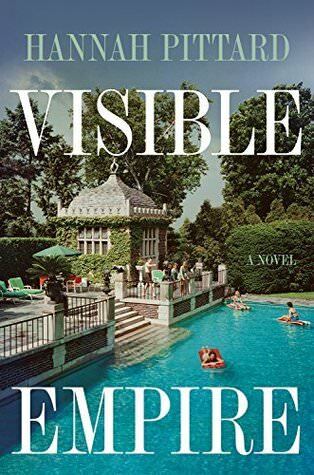 I’m not sure Visible Empire is for me, but I’ll look for your thoughts. That was exactly how I felt about it. Just not compelling enough to want to keep picking it up. Visible Empire sounds fascinating to me. Yay! I’m excited that you have The Gunners coming up. I hope you love it as much as the rest of us did. 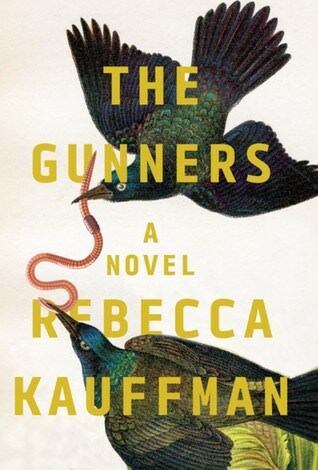 Can’t wait to hear what you think of The Gunners… sure hope you love it, too! Interesting assortment of books. All of them are new to me. Come see my week here. Happy reading! I also requested The Gunners from the library. I tell myself that waiting isn’t so bad, since I have many, many purchased books to read on Pippa, my Kindle. Love your display for Mother’s Day. I finished “Sometimes I Lie” but I wonder why I bothered. You were right to quit on it. It actually got worse as it went along and the ending was ludicrous. “Visible Empire” wasn’t on my radar; I will definitely investigate it! I love that advice — ‘Two crappy pages per day.’! I think it holds whether you are a professional writer or just wanting to write a letter or in your journal. I’m in the middle of an idea someone gave me about my family history….2 jot down one quick story a day. I haven’t done any yet, but I’ve thought about buying a cute notebook to write in….lol. Guess the ‘crappy pages’ idea is meant for me! It definitely feels achievable – haha! Visible Empire sounds good and a piece of history I hadn’t heard about. Social Creature sounds interesting. I love dark and twisty. Have a great week! I am currently reading and highly recommend, Paul Auster’s “4 3 2 1.” It’s massive, weighing in at just over 850 pages but the stories (more on that in a moment) propel themselves. No kidding. The novel follows the life of the main character “Ferguson” (born 3/3/1947) through his teens and beyond. It is set in the 1950s/60s encompassing the Kennedy era, Vietnam, jazz music, classic books and movies and more. What makes this so different from ANY other book I’ve read is the novel takes four different paths to Ferguson’s life. Ferguson maintains the same parents, relatives, etc. living in and around New Jersey and New York, but other than that, each chapter is divided into 4 sections (1.1, 1.2 1.3….4.1,4.2,4.3….). It’s a fascinating concept and the author is quite detailed in his storytelling, to a point of being verbose. Do not let that be a deterrent. Auster is a major talent and this is his most ambitious work. I am being “propelled” through this book. I had my eye on that one last year, but never picked it up solely b/c it’s so long! The premise sounds fascinating, though. I was debating about That Kind of Mother because the plot summary sounded interesting and I trust Annie, but I HATED Rich and Pretty. I’m still mad that I finished it and wasted good spring break reading time on it. If I ever get on What Should I Read Next, that will be the book I hate! I’m so glad you gave me the heads up! Haha! Love this! I didn’t read Rich and Pretty, but saw it’s avg GR rating is like 2.5 stars!! That’s so low! This is only the second book I can think of that I didn’t agree with Annie on (the other was Sing, Unburied, Sing). I’ll go with Social Creatures in June, but how are you reading so far out? I haven’t even started my May reading yet! Someone else recommended Tools so I got it at the library and almost fainted when I saw it. Thankfully, I get that it’s a buffet book, not a full meal. I’ve been perusing the Healthy and it has lots of interesting stuff. Were you doing his No Carbs for 6 days routine? Did you make it I wouldn’t even be able to try that. No way. Hi Sarah..just reserved Visible Empire.Have you any thoughts on whyvso many novelists are clinging on to the rituals and struggles of cigarettes.Reading mostly books published this year and ALL protagonists still smoke,or envy people who do or are giving up.Surely a plot mechanism that’s had its day! I’ve really been looking forward to Rumaan Alam’s new book – I loved Rich and Pretty. I remember being surprised that it wasn’t written by a woman because I thought he did such a great job of getting into the heads of women. Bummed this one didn’t work for you. Although, I don’t have a kid yet so maybe if I read this in the next few weeks, I won’t be able to compare it to any actual experience of motherhood! Add Rebecca Schinsky to the list of childless women that loved it. I’m just waiting for the reaction of someone who’s had a child! Who knows…I could be in the minority and everyone’s reactions to motherhood are totally different.